The Tangerine, Bumblebee and Raspberry colors perfectly complemented my picture, so I decided to showcase them all by creating some banners. I'm longing to wear flip flops!! These cuties were irresistible. I embellished them with some Tangerine Glitter Sprinkles. Finally, I die-cut a few fish using the Sunkissed papers and some matching Sprinkles Vellum. To complete them I added some Beetle Sprinkles for eyes. That is it for me today! Make sure to stop by the blog all this week and next to see more Sunkissed inspiration from the Design Team! Thanks for stopping by! The colours you used are just perfect for that photo, which is stunning. I love how you placed your title along the horizon! Love this Kathy! The fish are my favorite! Squeal! I cannot wait to see more of this collection!!! I love the warm colors on this page. Those fish are adorable. 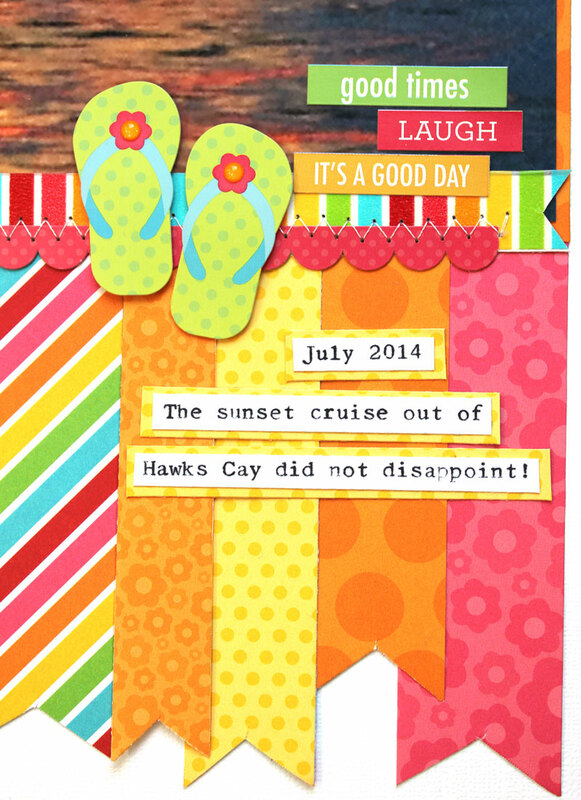 Love this Kathy - the photo makes me long for a cruise!!! Perfect papers for this! 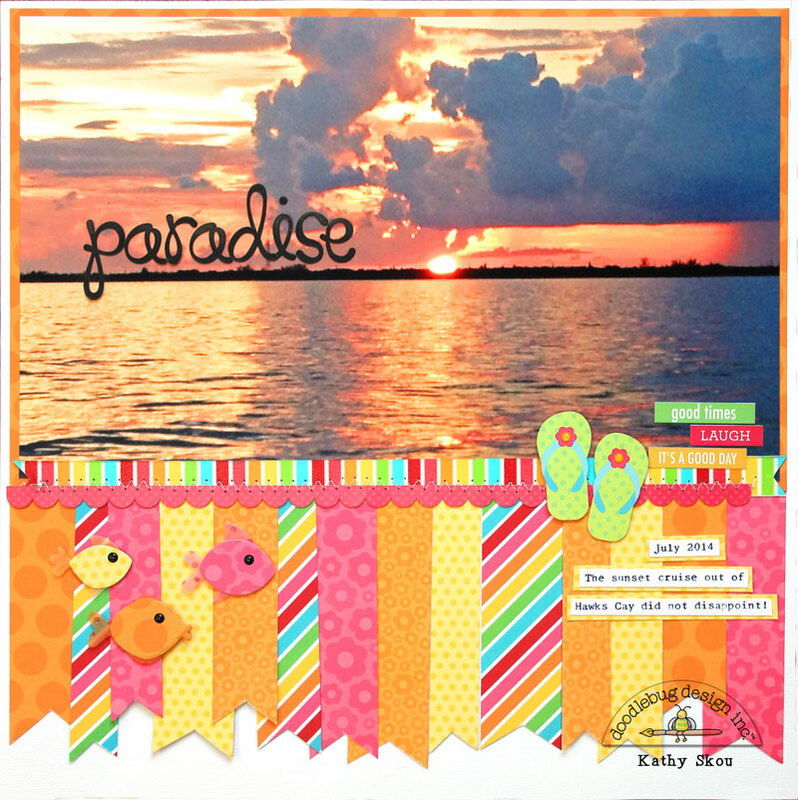 BEAUTIFUL sunset photo and layout Kathy!!! LOVE the GORGEOUS colours and FABULOUS page design!!! Kathy - Super impressed and this is gorgeous beyond words!! Love the way you made this layout with all those bright and fun banners!! 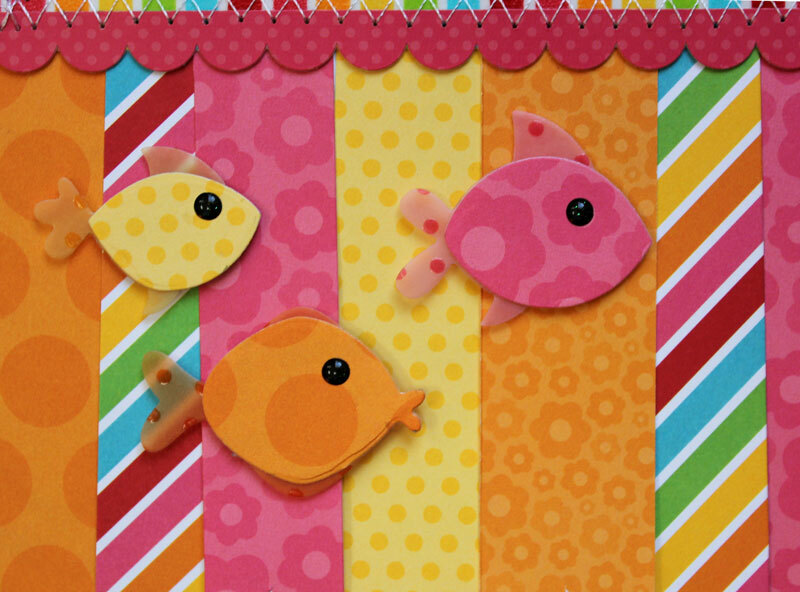 Your addition of diecut fishies is so cute!! Such a cleverly done page!! !